Equity Markets and the Real Economy. Doktorarbeit von Georg Bestelmeyer, Verlag Dr. Kovač 2013, 144 S.
The author analyzes the influence of investors’ macroeconomic expectations on the U.S. equity market by focusing on three central issues: First, “Do investors’ equity risk premia expectations depend on overall business conditions? Hereby, the importance of economic conditions for doubtlessly one of the most essential value drivers of stock markets is tackled. The knowledge of how strong the real economic situation influences equity risk premia expectations and thus the level of stock values is of high importance for every investor planning his asset allocation or an appropriate trading strategy. Naturally, in a second step the question evolves whether changes in stock values are driven by changing economic conditions. Understanding whether and how investors’ expectations about the value drivers of stocks change in response to real macroeconomic news is fundamental for research on market efficiency and information processing. Since the basic assumption for every asset pricing model is an informationefficient market, the relevance of this question extends far into the roots of asset pricing literature. Lastly, the author focuses directly on investors’ economic expectations. In particular, he raises the question whether traditional business cycle classifications are a well approximation of market participants’ real-time economic expectations and in turn affect stock values. The author demonstrates that turning point signals from US Leading Economic Index are superior in explaining stock market patterns than NBER turning points. 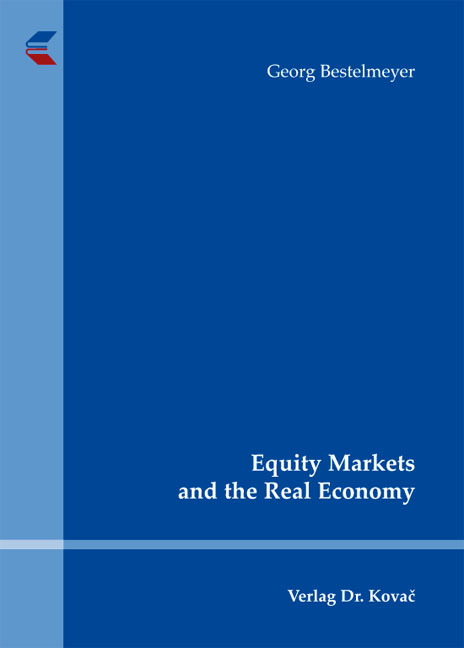 Overall, the author meticulously examines the link between business conditions, investors’ macroeconomic expectations and equity markets emphasizing that this link is much stronger than previously assumed.